Discussion in 'Graphics Cards' started by Kaapstad, Feb 6, 2019. Also my proof from a few days ago..
Just reading through whats been said over night. When you run DDU in safe mode it removes the Graphics drivers but at the same time the Chipset driver too! It doesn't remove the chipset in normal windows mode. So step 1 would be DDU in safe mode. 2: Back into windows, https://www.amd.com/en/support/chipsets/amd-socket-am4/x470 install chipset driver and restart. 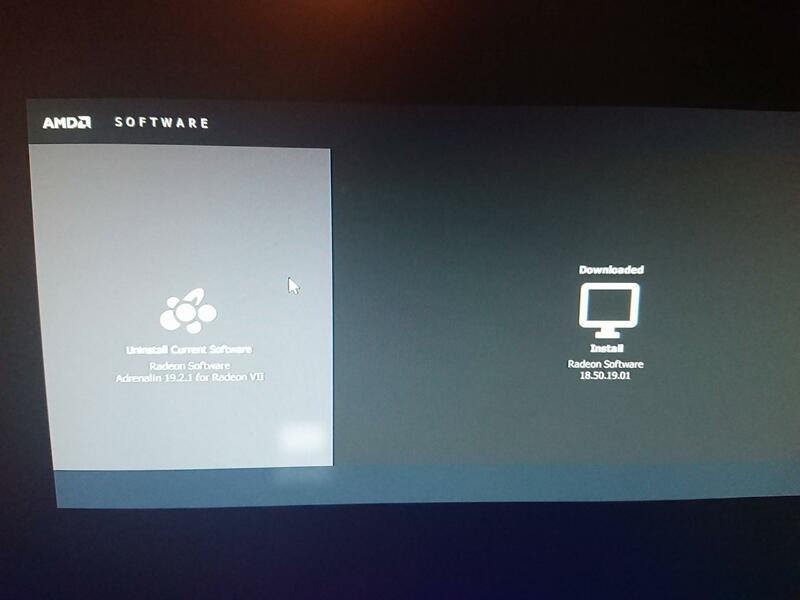 3: https://www.amd.com/en/support/grap...amd-radeon-2nd-generation-vega/amd-radeon-vii install that on custom and restart. At this point you should on paper have a good set of drivers. I'd do your bios too: X470 AORUS ULTRA GAMING looking at your info. Another thing people more than likely are not aware of since Vega is how the card reacts after a hard lock crash. They do a UEFI boot now so after a crash a normal restart isn't good enough. You need to power the system down, as in flick the PSU switch off or at the wall and empty the caps of power (press the power botton with the power off). It stops issues. Thanks - first time I've actually done that. Not many of us! Then again it's been a long time since I've had reasonably top of the line components. If anybody had issues it was always going to be you or badger.. two of the most unlucky fellas I know. Do you get strange lines during boot or only once you're in windows/games? I'm supporting.. I got your back buddy!! I recon amd put a lot of testing into this on x399 as it seems like a stable release from where I am sitting. Is there a way of stopping Memory auto overclock from bumping the clocks too high? It sets mine at 1273MHz and the games are crashing. I'd like to try around 1200. Weirdly yes.. up the voltage to the core and it will drag the memory back. Sounds like a plan. I know it'll be stable from before, but have you clocked back the 2700x (e.g. to stock) just to give the system's stability a bit more headroom? When I get home (about an hour) and if amd have sorted my code I'm gonna stream some re2 so you can show me what happens. Yeah I tried putting the ram to looser timings and lowering the CPU clocks also... I'm going to re install windows right now, will report back in a little moment. @Gibbo Just a wild shot in the dark , do you know anything about the problem the 3 of us + are having here? I'd try taking your monitor out of the equation, stick the system on a TV with HDMI or another monitor if you have one. I've experience awful screen blinking in the past when I had a r9 295x2. That was down to the driver. I wonder if its a multi monitor issue. I once had similar with a dodgey 280x. What happens if you unplug a monitor? It says its already installed 19.2.1 . But there is no adrenaline interface, yet I can run games fine there is no glitches. So confused right now. Do I install this one for the gpu? I was confused by this too. I did it the other way round though: I installed the radeon driver first (which gives me all the right programs) and then when I tried the chipset it was older drivers... so i didn't do it. I've no idea if I should install chipset drivers or not or if it will bork the radeon drivers. I clicked on the downloaded driver on the right, then selected clean install. Worked a charm.